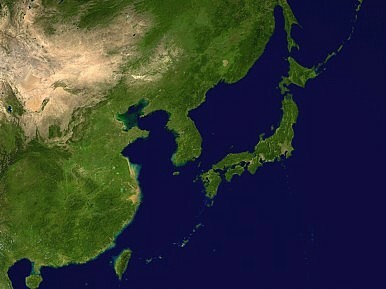 The foreign ministers of China, Japan, and South Korea suggested that the long-stalled leaders’ summit could be back on. Trilateralism is starting to yield diplomatic dividends in Northeast Asia. After meeting in Seoul, the foreign ministers of China, Japan, and South Korea agreed to work toward a broader trilateral summit involving their leaders. Such a summit has not taken place in over three years due to rising regional tensions stemming from, among other issues, differing interpretations of history and territorial disputes — the foreign ministers of these three countries last met in 2012, a time when each was led by a different leader. The meeting of the foreign ministers itself represented a level of regional diplomatic engagement that hadn’t been seen in years. In Seoul this weekend, the foreign ministers of China, Japan, and South Korea issued a joint statement noting that “Based on the accomplishments achieved through this meeting, [they] decided to continue their efforts to hold the trilateral summit at the earliest convenient time for the three countries.” Chinese Foreign Minister Wang Yi, however, caveatted the statement by noting that the prognosis for a successful trilateral meeting would come down to Japan adequately recognizing its wartime past on the occasion of the 70th anniversary of the end of the Second World War this year. “The war has been over for 70 years, but the problem with history remains a present issue, not an issue of the past,” he noted. The summit referred to by the foreign ministers in their statement would be a resumption of the China-Japan-Korea (CJK) process, a trilateral leaders forum that began in 2008 and was canceled in 2013 after Japan’s decision to nationalize the Senkaku/Diaoyu Islands drew protest from China. Indeed, even lower-level trilateral meetings were sidelined until last fall, when China and Japan finally managed to break the ice by way of a hard-negotiated “four point” consensus. Though that didn’t set into motion a complete normalization in Japan-China ties, it did pave the way for an awkward handshake between Xi Jinping and Shinzo Abe on the sidelines of last year’s APEC summit. Since then, China and Japan resumed diplomatic engagement at a high level. Also around that time, China, Japan, and South Korea began meetings at the deputy foreign minister level to discuss regional issues. Over the past two years, trilateral ties in Northeast Asia have been frigid between South Korea, Japan, and China. The poor state of relations between Japan and China is perhaps the best known given their dispute over the sovereignty of the Senkaku/Diaoyu Islands in the East China Sea. Additionally, Chinese leaders remain skeptical of Japanese Prime Minister Shinzo Abe’s right-wing politics and push for greater military normalization for Japan’s Self-Defense Forces. South Korea, while sharing those same suspicions of Japan and the current administration, is also engaged in a maritime territorial dispute with Japan over the sovereignty of the Dokdo/Takeshima islands (also known as the Liancourt Rocks). While relations between South Korea and China have generally remained more positive over that same period, security concerns over missile defense, for example, have brought fissures to the fore. Will an Abe-Xi Meeting Happen on the Sidelines of the 2016 G20 Summit? The two leaders last met in April 2015. Tokyo to Host 7th China-South Korea-Japan Trilateral SummitCoast Guards of India and Japan Conclude Naval ExerciseDiplomatic Update: Where Are Japan-China Relations Headed?For First Time in 4 Years, China and Japan to Hold Security TalksWhen Will Xi Jinping Travel to North Korea?